My husband, Jack, writes about movies and comics and TV shows. He also talks a lot about movies and comics and TV shows and is beginning to write screenplays. My little sister, Katherine, is a comedy writer (she has performed at the Edinburgh Fringe and is currently studying at The Second City in Toronto) and studies English and Film & Media. My cousin, Michael, also blogs about movies on his wonderfully-named site Epistemology Tonight. When I was young, my dad took my sister and me to see a movie every Saturday morning and then he would spend the drive home discussing the plot, the themes, and characters in great detail with us — being a minister, he may have even incorporated it into his sermon in church the following day. All our best friends are movie and TV and book and comic lovers. Our conversations revolve around plots and cinematography and camera shots. These are the conversations that I listen to, but struggle to take part in. I want to. I love movies, I really do. The problem is, I get lost when people start discussing specifics (okay, and I'll admit, some major plot points too). Some movies are just way too long! At times, I go to the cinema when I’ve got hyperfocus — my primary ADHD symptom, in which I can’t stop focussing on a single idea for days or weeks (or even months) at a time. Yes, sometimes people with ADHD can focus too much. Go look it up! It's a real thing! WARNING: Do not go see a movie when you have hyperfocus, especially when that focus is on something like moving to America, or writing a blog about ADHD(! ), or something else that really requires hours of scouring the internet for ideas. On these days, the movie is a lost cause. All I can think about is that thing I've got on my mind. I feel like I'm too busy to watch the movie because I'm supposed to be doing that other thing. If only my hyperfocus was dedicated to the movie, right? Last Tuesday (cheap movie day!) 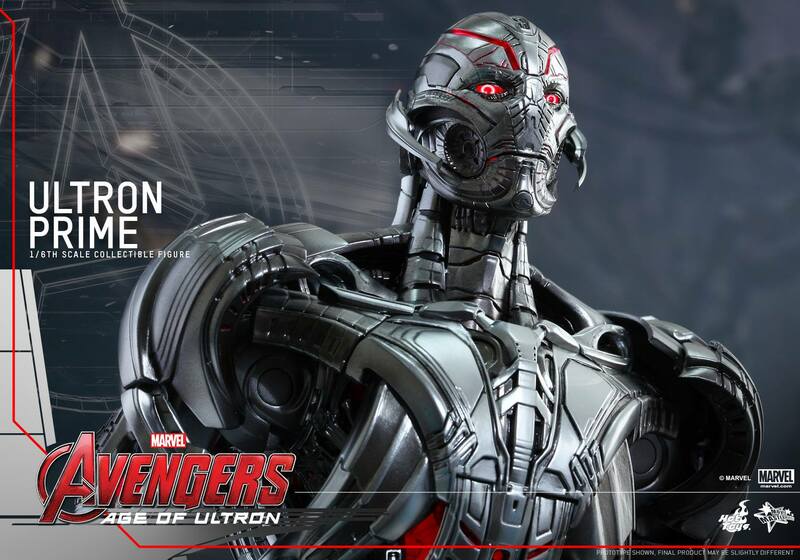 I went to see Avengers: Age of Ultron. As usual, I took my medicine, asked Jack a ton of questions beforehand (so, tell me again, which Marvel films haven't I seen? Oops...) and did my best to concentrate on the plot and figure out what was going on. Most of time, I can’t pay enough attention to fast-paced movies and the same went for this one, so here are the 30 thoughts I had while watching it. Sorry to you, dear reader. There are probably no spoilers — although, maybe? I don’t even know. I think I saw a different movie to the one you guys watched. Jack read this post first to check and he knows what's up and said I don't give anything away, so don’t blame me. So there are so many explosions and people and shouting. Oh, now there’s a slo-mo shot of all the characters. Am I supposed to know all their names? Oh yeah. Jack would know all their names. So that’s a yes. This popcorn is good. I don't normally get popcorn. I got sweet and salted mixed popcorn and it's good! I read that kids with ADHD who fidget, learn better. I wonder if it's the same for ADHD adults and popcorn-eating? Okay, I probably should have watched/re-watched all the previous Marvel films in the Avengers franchise. This is awkward. Who is Jeremy Renner playing again? He’s got a bow and arrow but I don’t think he’s the Green Arrow. Wait, is that even the one who is in the TV show Arrow? No, he's someone else. (Hawkeye, Jack tells me later. Well, now I remember that.) Who is Scarlett Johansson? Wait, slow down, there are far too many explosions, I just need to work out what’s happening. Give me a chance, Whedon! Scarlett Johansson. I like your hair colour. That’s the kind of colour I’d like to go. I wonder if it would suit me? There’s Mark Ruffalo. I like you, Mark Ruffalo! You were in 13 Going on 30 (like you could forget)! Wait, what was the name of your character? Oh yeah, Matty! And Jennifer Garner was in that and now she’s with Ben Affleck. He’s going to be Batman! That will be cool. I really loved Argo. I’d like to watch that again sometime. I also love that Scarlett Johannson was in Lost in Translation and Mark Ruffalo was in Eternal Sunshine of the Spotless Mind. That’s so great because those are two of my favourite movies.Uh oh. I’ve missed a heck of a lot of dialogue and plot. Concentration! Focus! Yeah! Now there are two glowing orbs of computer data. One is blue, one is yellow. Did they say what these are yet? Maybe I’m already supposed to know. I should have paid more attention to the last films, and the beginning of this one, for that matter. Tony Stark has something to do with these. I think he made them? So one orb is good and one is bad. The bigger one is bad. Makes sense, I guess. Focus. Focus. Focus. So much is happening. I wonder if Joss Whedon has ADHD too? Okay, it’s settled down and it’s much quieter now. They’re in a bar. I can always focus on conversations like this. No wait, lots of in-jokes from previous movies. Jack is laughing. I should probably laugh. It's too late, it’s turned into an action scene! Uh oh! Robots. I guess they are evil. I guessed this because they are trying to kill the Avengers. Good call, Beth! Here’s another robot. I’m pretty sure that’s the same one. 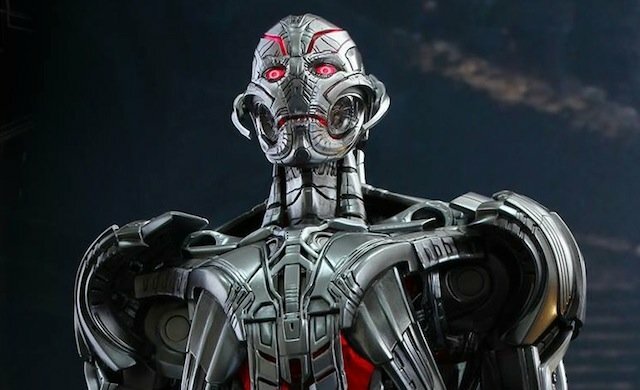 I totally thought Ultron Prime was a Transformer? No? Is that Optimus Prime? And Megatron? WHY ARE YOU DOING THIS TO ME?! Here’s another robot? Why do they all look the same? Why is Thor an Avenger? He always looks so out of place. I mean, Thor next to Tony Stark just looks silly. He looks like he’s from a different time period. Wait, is he from another time? And where is Loki? Captain America is from another time! Maybe Thor is too. Huh.Oh, Jack just told me Thor is an alien/god. Close! You know who isn't an alien/god? 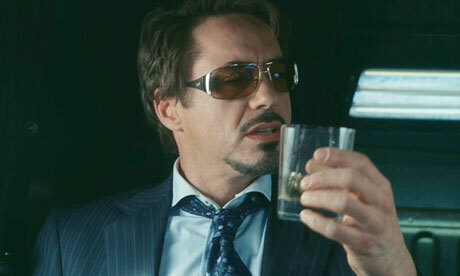 Tony Stark. Tony Stark is a douche. We would not be friends in real life. Those T-shirts. That goatee. The sunglasses. Mark Ruffalo, on the other hand. I like Mark Ruffalo. Aww okay, Mark Ruffalo! Twins! Okay. So one of them is Elizabeth Olsen, so they’re kind of the "Olsen twins". Ha ha ha. Her eye makeup is pretty. The other is… Darn, I totally know his face! Who are you, man twin? I’m finally concentrating more than I have on the film up to now! It takes a lot of focus and concentration to work out who this guy is. 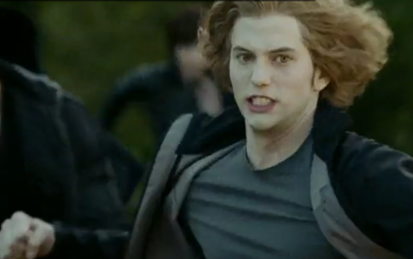 I know it’s not Jasper from Twilight, but he looks like Jasper from Twilight. But his face. I know his face. That is a recognisable face. (Post-movie question to Jack) Me (while watching the credits): Aaron Taylor-Johnson was in that? Where? Jack: Yeah, he was Quicksilver. Me: Who’s Quicksilver? Jack: Elizabeth Olsen’s twin Me: No. I refuse to believe that he was Aaron Taylor-Johnson. So Elizabeth Olsen can control people when her eyes go red. Seems like a useful superpower. Aaron Taylor-Johnson can run really fast. So, yeah. What has happened so far, Beth? You have no idea. That’s what you get for not concentrating. From now on you’re going to focus on every single detail. You paid a whole £3 (again, yay for cheap Tuesdays!) for this movie ticket. There’s a doctor called Dr. Cho...I love Cho from the Mentalist. And Rigsby! Just look at them. No, Beth. Concentrate. The action has been relocated to the “African Coast”. Vague, so as not to offend a particular African country! Whilst simultaneously offending all African countries! Hey, it’s Linda Cardellini! I loved you in Freaks and Geeks and ER and Legally Blonde. I’m so glad you’re here, Linda! So they’re talking about the material that Captain America’s shield is made out of. I think you can get it from the “African Coast”. Right. Time for a bathroom break! I could do with a walk. Maybe I’ll focus more when I get back. Oh wait, something important is happening just as I’m leaving… The music is changing and everyone looks interested. Should I stay? They’re taking too long to tell me. I’ll just go. Back from the bathroom. Now the twins aren't evil! They're good! Yay! I don't know why though! Now everyone is fighting and people are getting captured and explosions and sadness. Now there are new Avengers? Who are these guys? I’m probably supposed to know. But, alas, I do not. It’s the end of the film now. We’re staying behind to watch the credits because that’s what we do at Marvel films. There is a blue man. Jack looks annoyed. He waits longer. There are a ton of credits. This film has been so long. 2 hours 20 minutes! Nothing else happens. Note: They were also in Europe and South Korea and lots of other things happened, according to the plot I found on Wikipedia. Sure they were, Wikipedia. It looks like we most definitely saw the same movie! NEW! Buy a Smart Girls with ADHD laptop sticker to support the site. Visit Smart Girls with ADHD's profile on Pinterest. Beth Harvey is a participant in the Amazon Services LLC Associates Program, an affiliate advertising program designed to provide a means for sites to earn advertising fees by advertising and linking to amazon.com. You're welcome to link to Smart Girls with ADHD or use a single image with a brief description to link back to any post. Republishing posts in their entirety is prohibited. Feel free to pin on Pinterest!